Hi everyone! This is GiGi from The Cricut Bug and I am sharing this card I made for a girlfriends Birthday. 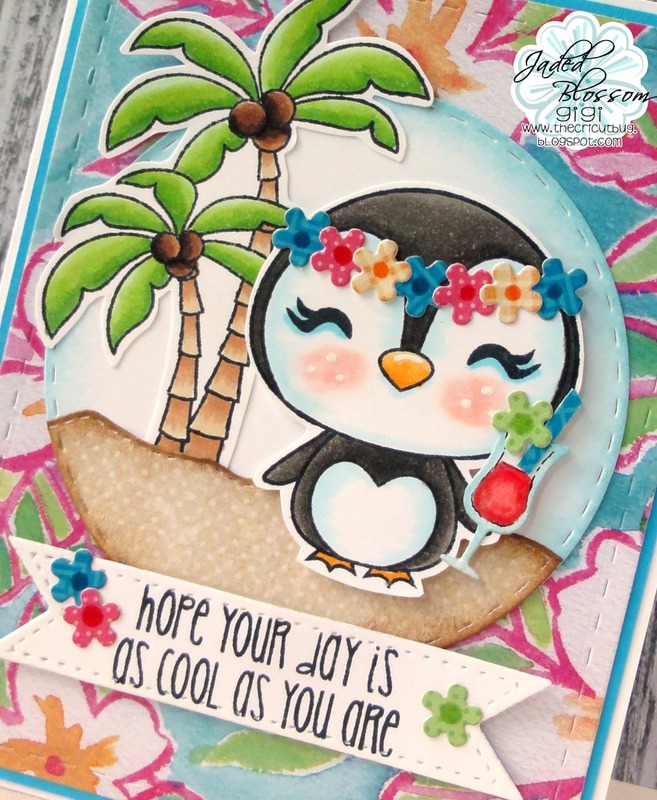 I started this card with a standard A2 card base and added the background mat cut with the Card Mat Dies. I cut a Stitched Circle Die for the inside mat and added the layer of sand cut with the Tropical Dies. 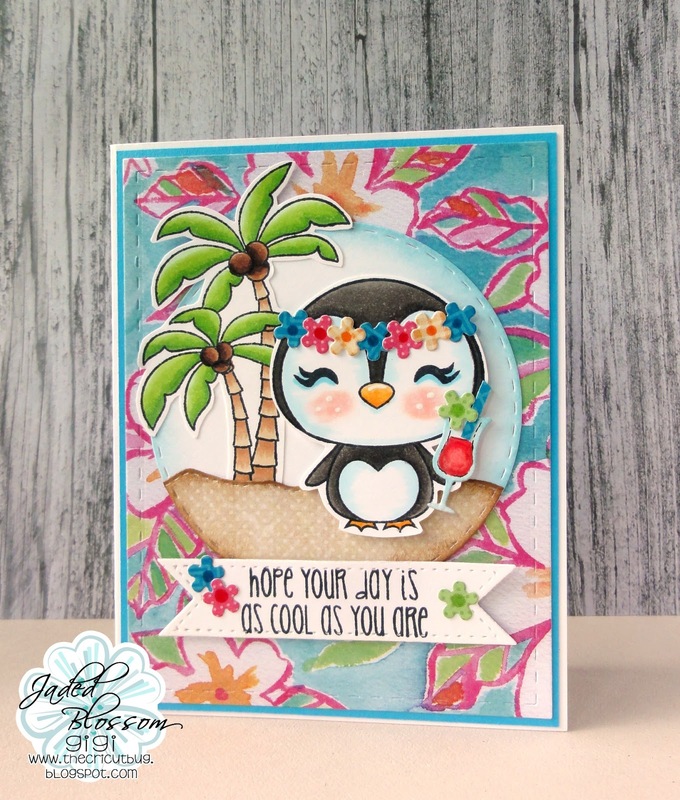 I stamped and colored the palm trees from the Aloha stamp set and added them to the circle mat. I stamped and colored the penguin and sentiment from the Penguin Dress Up stamp set and gave her a cup cut from the Tiki Hut Dies and the flower headband from the Tropical Dies 2. To finish, I stamped the sentiment onto a tag cut with the Card Layer Dies 1 and added some more flowers. Gigi, this is just too cute. I love all the colors you brought to the penguin table!! Love this!! Fantastic Birthday card! !